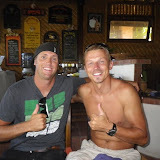 I strongly recommend the Ben Wilson Wave Camp at Bali for competent kitesurfers who are keen on riding in the big surf. The camp provides excellent coaching and feedback - including video footage - to all riders. 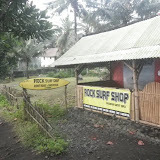 The venue in Bali has good surf, and we got wind and kited on all days. The camp the previous week did have a few days of no wind however. I had logged over 90 sessions before I attended the camp, yet I felt like a beginner again. Surf conditions are quite different from flatwater and some big wipeouts are possible. Be able to ride toeside upwind on the board - this is important for both getting into position for waves and setting up for them. Get your hold luggage down to 20kg to avoid punitive excess baggage charges. 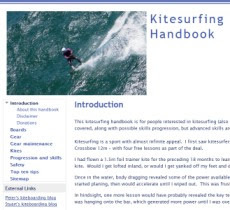 These skills will allow to concentrate on kite and board techniques for riding waves. 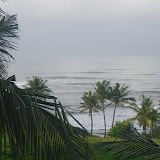 The accommodation and food were excellent, and I really enjoyed morning walks in the quiet countryside and along the beaches. I really learnt a lot from the camp and I enjoyed the coaching style of both Ben and Bruce. 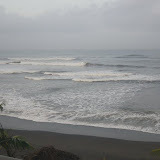 I now have a range of basic kitesurfing skills to practice and build a solid foundation for wave riding in big surf. This opens a whole new dimension of this incredible sport to me. Getting a kite tow in to a huge wave then surfing it just like a surfer offers great appeal - and you don't have to spend all that effort paddling out then waiting in a lineup to catch it. great advice! if I ever end up on that side of the world, I'll certainly try and check it out.